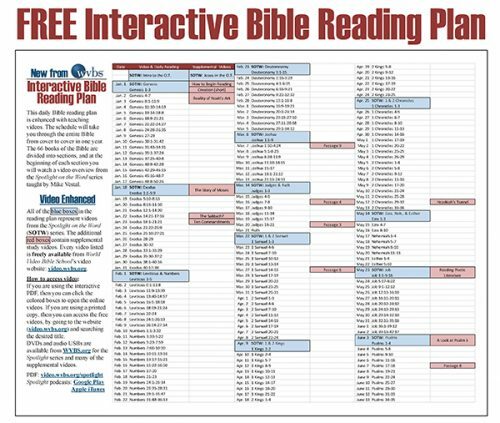 We have 195 free Bible-based programs available, which include a total of 1137 videos. Can our church put a link on our website to WVBS? Can any WVBS videos be put on our church’s website? Can our church put Searching For Truth and other WVBS programs on our local television station or cable company? What type of business is WVBS? Why is WVBS material copyrighted? Is WVBS under the oversight of a congregation or an eldership? 1. Can our church put a link on our website to WVBS? Yes, if you need any help doing this please contact us. 2. Can any WVBS videos be put on our church’s website? Yes. Any of the videos found on this website can either have a link from the church’s website to their page, or can be embedded within the church’s website using the embed code accessible on the page of the desired video. If you need help you can always contact us. 3. Can our church play any WVBS programs on our local television stations or cable companies? Yes, but they will probably require an authorization letter from WVBS because the material carries a copyright. Please contact us so we can provide the proper authorization, and we like to know where our material gets used. The TV or cable company may need a digital file in order to play the video, which we can provide directly to them if needed. 4. What type of business is WVBS? WVBS is a Texas non-profit, tax exempt corporation under section 501(c)(3) of the Internal Revenue Code. You will receive a receipt for your tax exempt gifts. World Video Bible School and WVBS are registered trademarks, and commonly used as WVBS.org. 5. Why is WVBS material copyrighted? The copyright of WVBS material is for the purpose of keeping unauthorized copying for resale and for other undesirable uses. Some of the materials within WVBS material is also copyrighted by others which we have permission to use. WVBS is thankful to all of the teachers who have granted WVBS permission to use their materials. 6. Is WVBS under the oversight of a congregation or an eldership? WVBS is not the church, but exists to serve the church. It stands on its own, independent of any congregation of the Lord’s church. We believe we may biblically operate as a non-profit corporation providing Bible study materials to individuals and churches interested in using them in their work. It is our conviction, based upon the study of God’s word that we have authority, from God, to engage in any occupation which does not violate His will. For example, since it is acceptable to God for Christians to combine their efforts and operate a business independent of the church, such as a religious book store or a publishing company, it is acceptable for WVBS to exist as an independent business producing video and written Bible study materials to sell or distribute. No, WVBS is not under the oversight of a congregation or eldership but is under the oversight of a seven man board of directors. That board of trustees is made up of elders, preachers and teachers of the Lord’s church. They have many years of managerial and business experience between them. We want to assure everyone our goal is the same as it has always been, to serve God and His people by doing His will to the best of our ability. We are committed to continue producing and distributing excellent quality, scripturally sound, inexpensively priced Bible study material on video and the written page. We have a genuine desire to glorify the Father, His beloved Son, His word and His blood-bought church and not to glorify ourselves or any other men! If WVBS were to ever dissolve, federal and state laws require that all of the assets, including cash, be distributed to other non-profit entities. In our case, we would see that the assets were distributed to faithful Churches of Christ. It is illegal for any of the board members or employees of WVBS to receive any WVBS assets.